You can group and identify chats with similar questions by using the Tag feature. 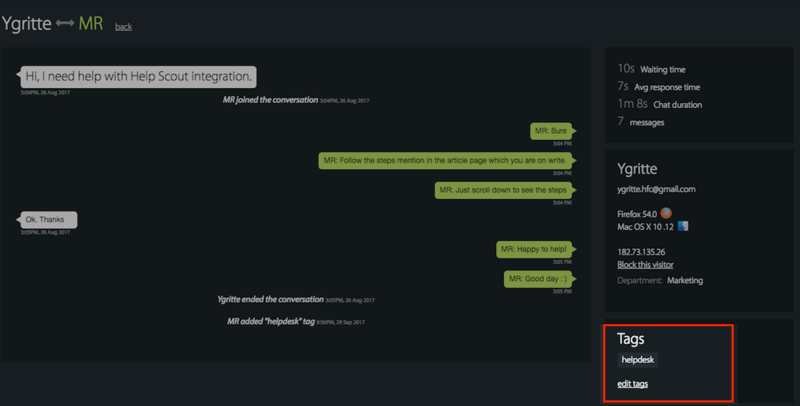 Simply add tags/keywords to an ongoing chat or the chat's transcript. You can search chats by tag in the history section and also pull reports. 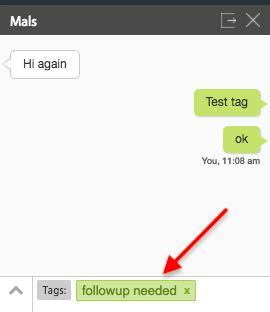 How to add Tags for an ongoing chat? a) Type '!' 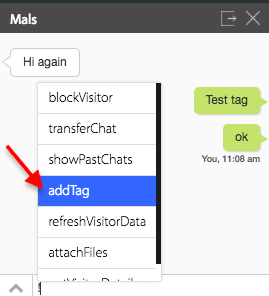 in the chat area to list the commands and select '!addTag' from the list. b) Type in the tag name/keyword → hit Enter key twice. c) After hitting enter key, first the keyword will turn into a tag label as shown below. And then the tag will be added as show in the next image. d) The second time you hit the enter key, you can see the notification saying tags added. Note: If a keyword that you are typing already exists, then it will be listed as you type. 2. How to add tags to transcript? 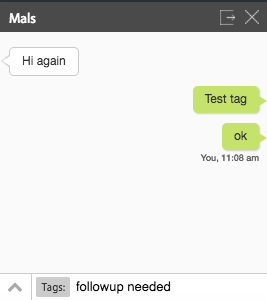 Tags can also be added to the Chat's Transcript available under Chat History. a) Go to History section in your HappyFox Chat account >> click a transcript. b) You can see Tags field at the bottom of the right pane. 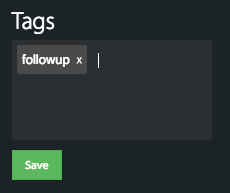 Click "Add tags". c) Type the tag name/keyword and hit 'Enter' key. d) When you press "Enter" and the keyword will turn into tag label. Now click "save". e) Now the Tag will be added to the Chat Transcript. The notification for the Tag added/edited in a chat transcript, will also be shown at the bottom of the transcript. By clicking on Edit Tags hyperlink, the tags can be edited, deleted, and new tags can be added. Save after editing the tag. Where can I view these Tags? 1. 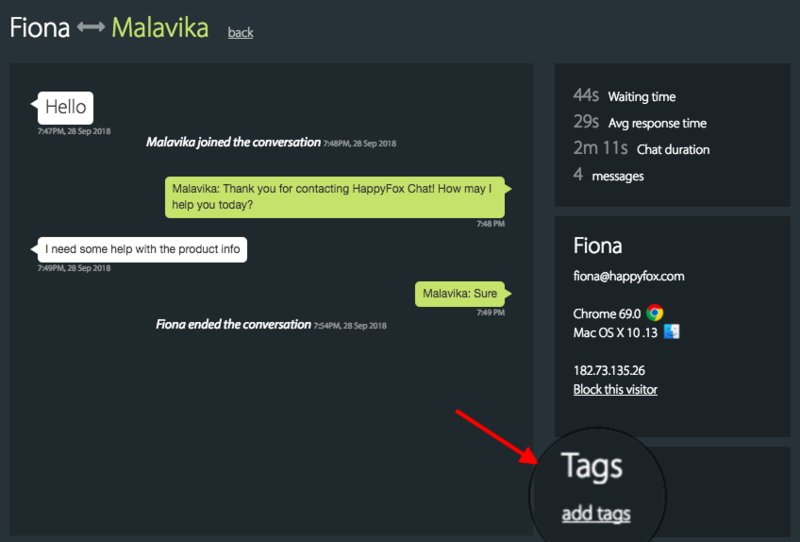 The tags are listed on each chat transcript under chat history in HappyFox Chat. 2. 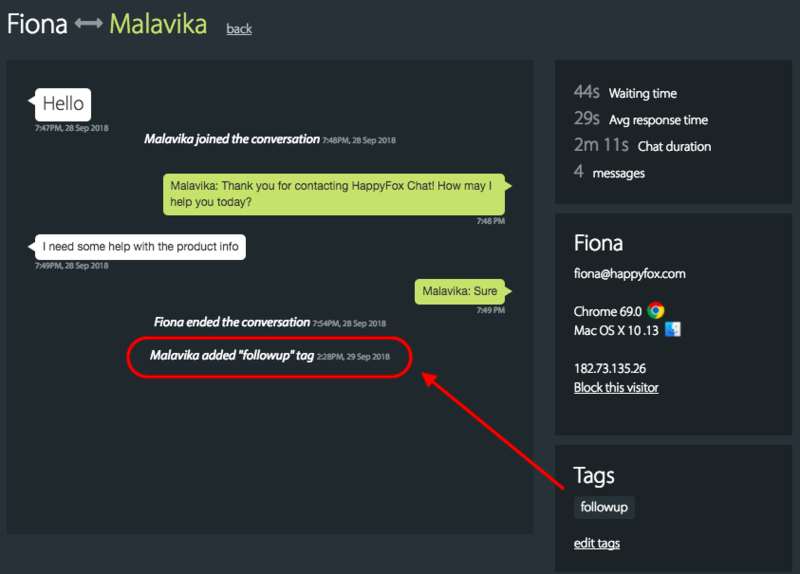 If you have integrated HappyFox Chat and HappyFox HelpDesk, then the tag added to chat/chat transcript will also be added to that particular chat's ticket on HappyFox HelpDesk. How to search chats based on Tags/keyword? Go to history section >> Type the query tag:<Tag Name> in the search area on the top right corner. 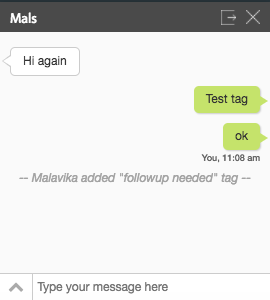 Eg: If you want to fetch chats with the tag "helpdesk", type the search query as tag:helpdesk and hit enter. This will fetch the chats with the tag "helpdesk". 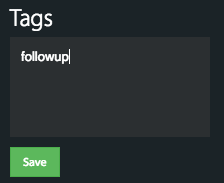 How to view the list of all tags added ? Admins of HappyFox Chat can export a report to view list of tags that are added. Along with customer details and chat activity, you will also see the tags column. Go to Reports section > Select the date range > click 'Export' button. Once you click the export, the data will be mailed to you in CSV format. More details > Chat Reports.